This was the message of the inaugural ICT4Fisheries workshop in Cape Town this week, which brought together 50 participants from 18 countries. A collaboration between Abalobi and Blue Ventures, and supported by the Western Indian Ocean Marine Science Association, the workshop convened researchers, developers, government agencies, NGOs and fishers to share best practice in the use of information and communications technology (ICT) in small-scale fisheries, and to foster new collaborations. Breakout sessions coordinated by organisations including Abalobi, This Fish, mFisheries and Blue Ventures highlighted the diversity of marine management objectives mobile technology can support, covering the full length of the value chain. From boosting seafood traceability and consumer engagement to sustainable fisheries management and improved safety at sea, organisations across the Caribbean, South Africa and Western Indian Ocean are turning to mobile technologies to improve the speed and accuracy with which data is received, analysed and used to inform future strategies. Engaging with end-users from day one was identified as a vital first step in the development of effective and efficient ICT tools, while maintaining the trust of communities by promptly feeding back information was considered as critical to long-term project success. The workshop also highlighted some of the challenges of using ICT, with mobile internet coverage low and smartphones prohibitively expensive in some regions. Sustainable business models and commercial partnerships will likely be key to scaling the success of local initiatives. “Mobile technology can make an important contribution to the FAO’s Voluntary Small-scale Fishery Guidelines. In a number of African countries, ICT has helped organisations to engage with marginalised peoples with the indirect benefit of promoting gender equality and acting as a tool to improve literacy” said Serge Raemaekers, workshop organiser and head of Abalobi. In addition, the workshop acted as the introductory meeting of a new ICT4Fisheries network. 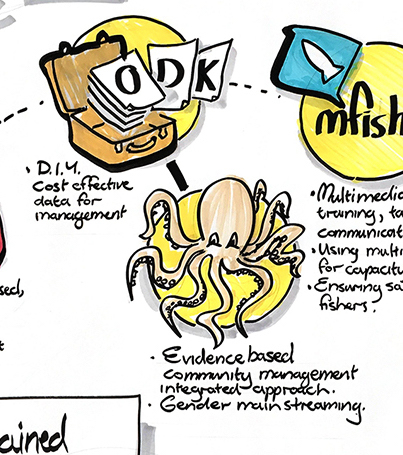 The network aims to share best practice, toolkits and support through the website ict4fisheries.org and to develop a series of case studies to encourage the development of ICT in new regions, and new contexts. To coincide with the launch of the network, Blue Ventures has developed a toolkit to support partners in setting up a basic mobile monitoring system and to share experiences in training community members and in troubleshooting phone issues. 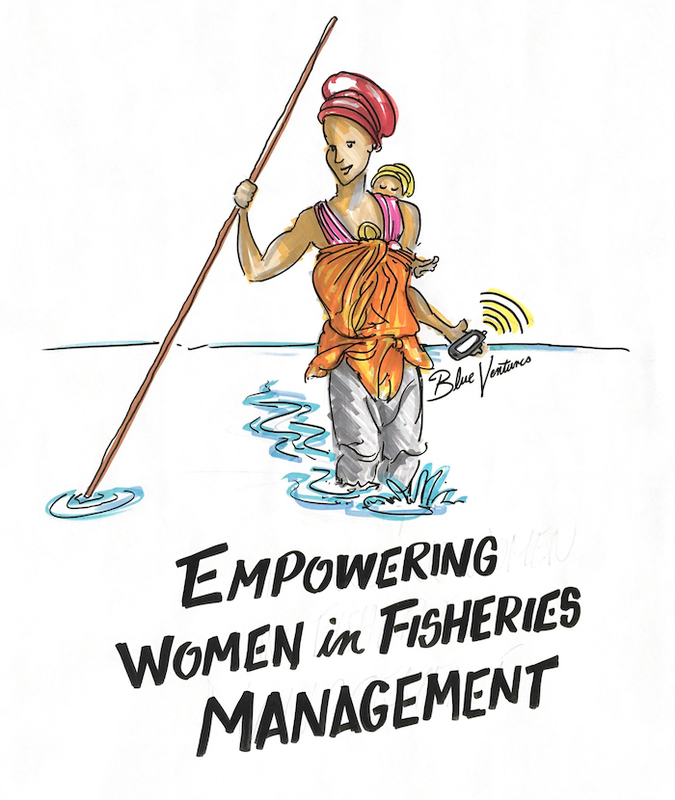 “Monitoring fisheries with smartphones has been a powerful way to speed up data collection and feedback, providing community management organisations with the information they need to make informed local management decisions” summarised Victoria Jeffers, Blue Ventures’ Conservation Projects & Grants Manager. Find out more about how we are using mobile technology to monitor landings in Madagascar’s artisanal shark fishery, or download our toolkit.